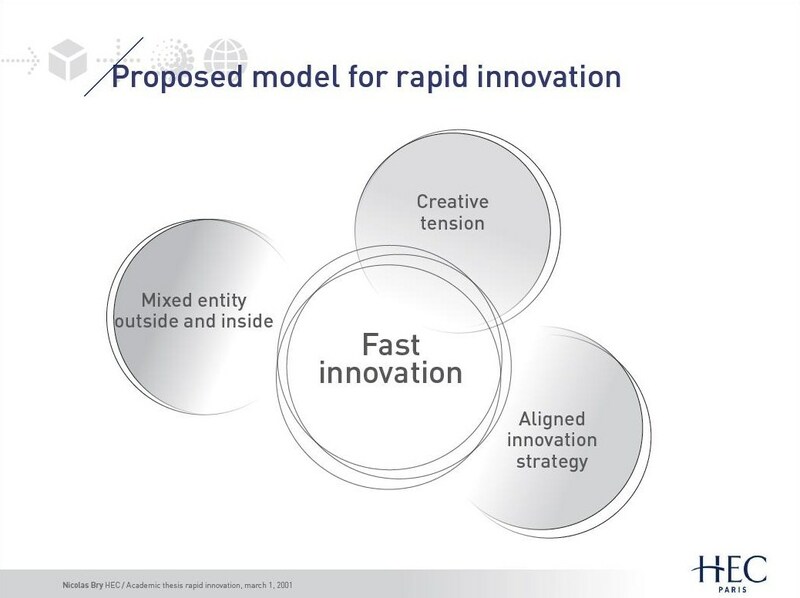 Rapid innovation model is a platform to accelerate innovation, regenerating bold ideas where company’s daily business may prevent it, moving faster from concept to elegant design and experience, and facilitating innovation acceptance, turning it into the new tradition. Modular design: finally, fourth principle is modular design: to streamline cooperation, let’s design modules and deliver API that will let others create value on top of your platform. I have presented initial release of Rapid Innovation model at an innovation lecture completed at HEC Business School in March 2011. To download the presentation: rapidinnovationnicomasterbat5-20110301. 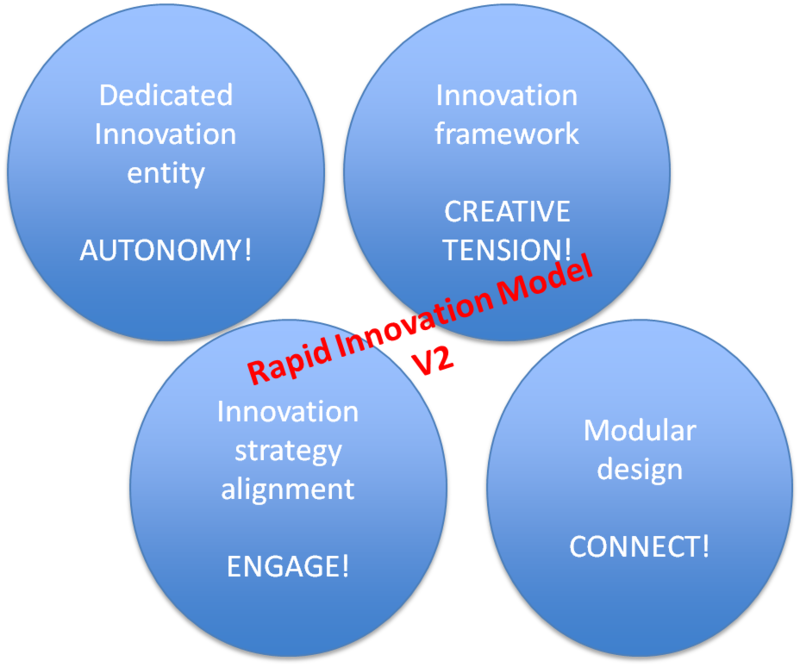 To get a more worded text on the emergence of “Rapid Innovation” model, one can read “Rapid Innovation model – V1”, and to understand the latest evolution of the model, unfolding Innovation by Component approach, have a look to “Rapid Innovation model -V2”. To capture how it can be implemented, the “Rapid innovation plan”article is intended to be a pragmatic user guide for rapid innovation set-up, and “Rapid Innovation model – V3” show how to Design for Rapid Innovation. Pingback: Blogging Innovation » Google Innovation – Sour or Sweet? 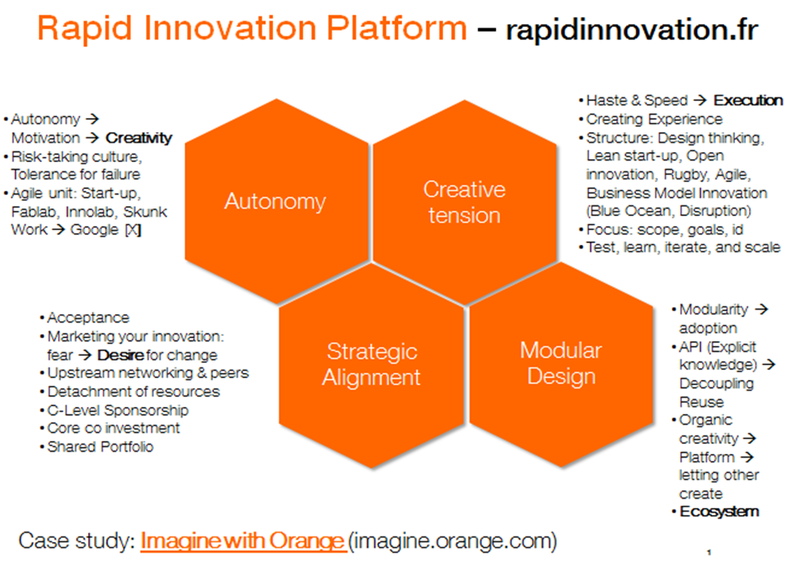 Pingback: Innovation Excellence | Is there a Model for Rapid Innovation? Pingback: Innovation Excellence | What Street Golf has to do with Innovative Design? Pingback: Innovation Excellence | Is Modular Design the Key to Rapid Innovation? Innovator’s Accelerator online Learning Program provide independent online training sessions to enhance your ability and innovation within yourself. This program increases the possibility to fulfill business targets and also helps you to generate anew and creative ideas necessary for business growth. Learn the online innovation management program from world-renowned experts who have sparked innovation in some of the globe’s most powerful companies.